Immediately after a new credit card product is launched and in the wallets of cardholders, sentiment begins to build. Both positive and negative experiences generate impressions among both users and prospective cardholders. Savvy issuers are measuring that sentiment in a qualitative fashion to drive the card’s market success. Doing so not only requires a time investment; it often calls for a specific and unique expertise. But the results of such a study can propel the card product to entirely new levels of success. The proliferation of online information and Internet media has made this sentiment analysis somewhat easier to conduct. Online comments made by journalists, bloggers and consumers are accessible and generally clear-cut in their meaning and tone. Feelings expressed in a focus group or gathered by call-center recordings, on the other hand, are more difficult to collect. And because they are not expressed in black and white, they can be difficult to interpret. In a recent credit card sentiment analysis project, the issuer wanted to understand how its card was being received by the target audience. That audience consisted of frequent international business travelers who stay in hotels and have the option to earn points for personal use. In addition, the issuer hoped to pinpoint which aspects of the card garnered the most favor, and conversely, which generated negative impressions among online influencers. The sentiment analysis was conducted using a two-step process. First, analysts identified the most influential credit card websites and blogs. They then collected every single comment made about the credit card, as well as all responses the comments elicited from others online. Next, the comments were segmented into eight broad card-feature categories and tagged as positive or negative depending on the tone of the comment. In addition, the comments were each coded with a ‘response type’ describing whether the comment was made by an existing cardholder, a prospective cardholder or the journalist/blogger managing the website. When journalists, bloggers and consumers talked about the card’s reward-redemption options, their comments were positive 93 percent of the time. When addressing additional stay benefits, journalists’, bloggers’ and consumers’ comments were positive 88 percent of the time. Accumulation of reward points was another of the most-liked aspects of the card, garnering a 75-percent positive-comment rate. Nearly every comment made about the card’s foreign transaction fee was negative. A significant number of journalists, bloggers and consumers perceived the credit approval process to be very stringent. When chatting about the application process, the influencers made negative comments 89 percent of the time. A recent devaluation in airline points was met with dissatisfaction and garnered an 82-percent negative-comments rate. Now that the issuer had clearly identified those aspects of the card that were positive and those that were negative in the minds of online influencers, the card management team could rethink its strategies. 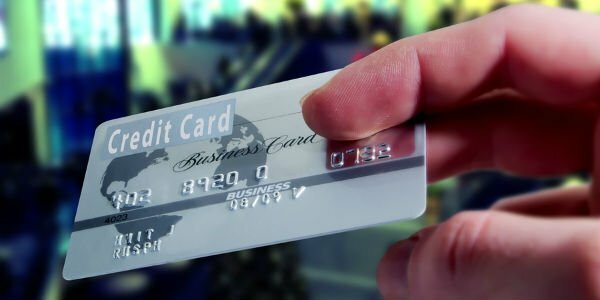 Specifically, the team has determined it will work to ease the card-approval process to address the significant negative impression it garnered online. In addition, the team will look into adjusting its pricing strategy, particularly on foreign transactions. The issuer will place more emphasis on its robust rewards program in its marketing campaigns, which continue to spark positive sentiment among online influencers. Consumer surveys, focus groups and other research can be costly and time-intensive. To more quickly determine how cardholders really feel about your card – while not under a microscope – online sentiment analysis can be extremely beneficial. Taken in concert with some of the more sophisticated methods for conducting this analysis, credit unions can continue to provide valuable credit card products to members who will sing their praises both online and off for many years to come. 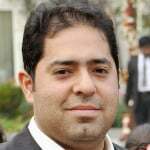 Karan Bhalla is managing director for IQR Consulting, which helps business in several industries, from financial institutions to airlines, leverage data assets to increase profitability. Karan can be reached at karan.bhalla@iqrconsulting.com.